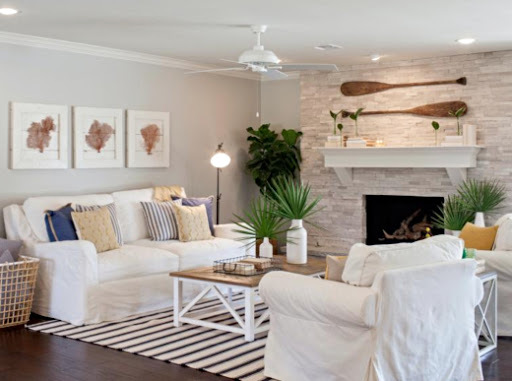 Chip and Joanna Gaines from HGTV's Fixer Upper help a couple to create their perfect forever home with a coastal makeover. The owners of this ranch home in Texas have a love of beach and coastal themes, but didn't want it over-the-top, nothing too literal, rather suggesting nautical and water motifs. 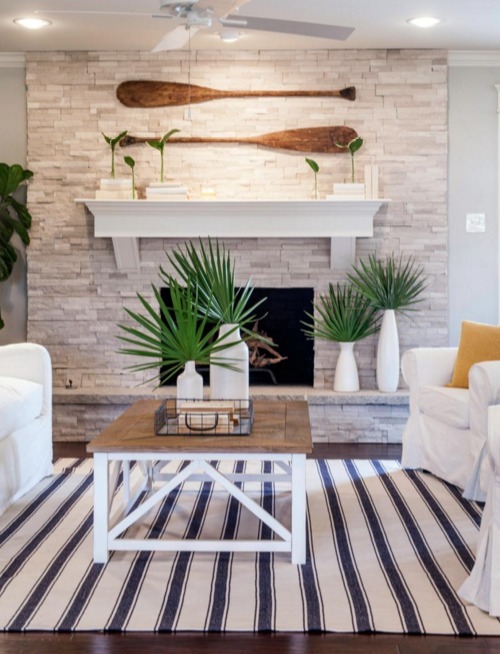 The makeover is simple and beautiful and you learn a thing or two about Styling with Palm Leaves & Fronds too. 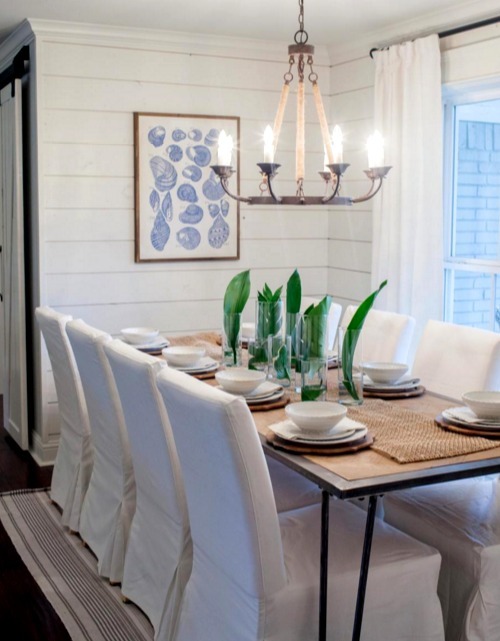 The dining room is another space that carries subtle references to the coastal theme, with white shiplap, iron Chandelier with Jute, a dining table in lighter toned wood and framed Coastal Art featuring seashell diagrams. 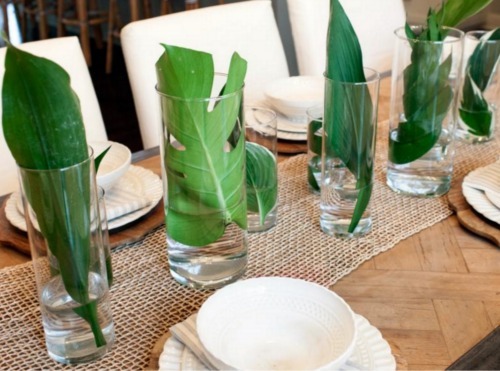 I love this Tabletop Idea with palm fronds in Vases, arranged on a Natural Jute Table Runner. 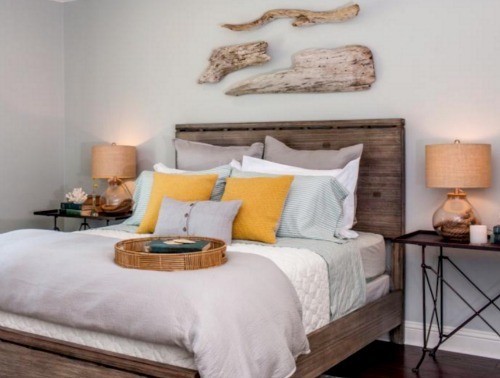 In the master bedroom Large Driftwood Pieces are Used as Wall Hanging above the bed, in keeping with the ocean theme. The Fillable Table Lamps show off some rope. 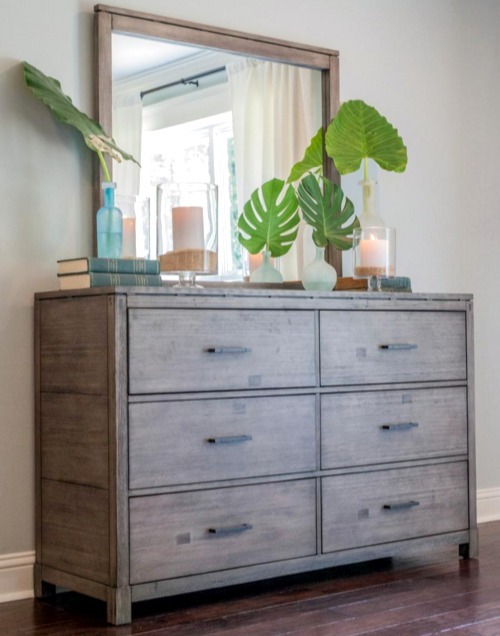 The dresser in the master bedroom with coastal touches. Again, green palm fronds, as well as Pillar Candles in Vases filled with sand. And a lovely detail, also in the master bedroom. 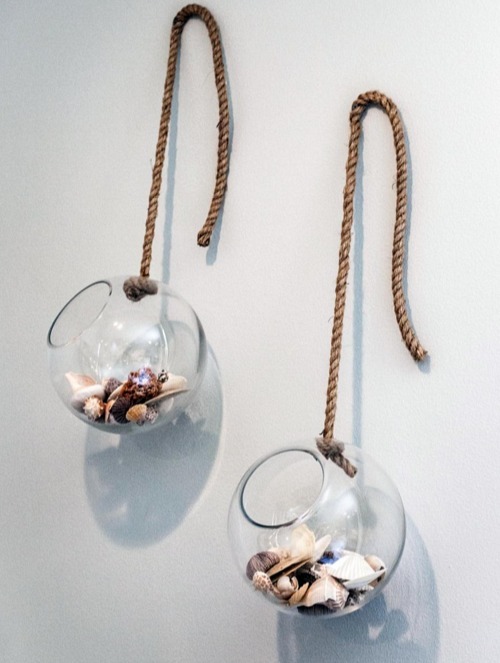 Joanna added this wall hanging with glass globes hung by rope filled with seashells and sand dollars. 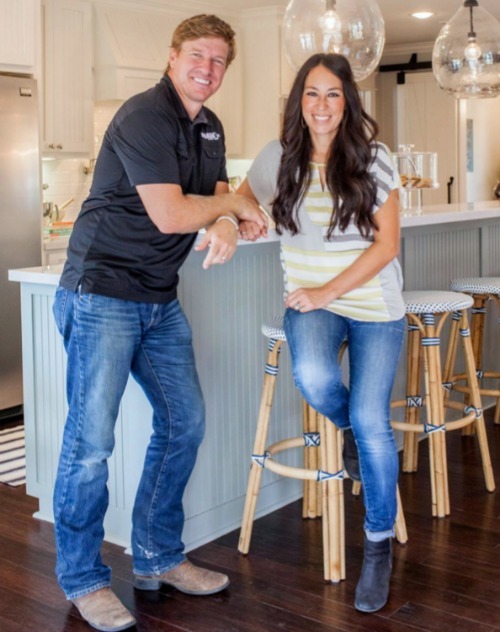 To see all the before pictures and more of Chip and Joanna Gaines' gorgeous transformation, click here: Coastal Home Makeover for a Ranch House.